Just when lighting aficionados were in a dark place, LEDs came to the rescue. 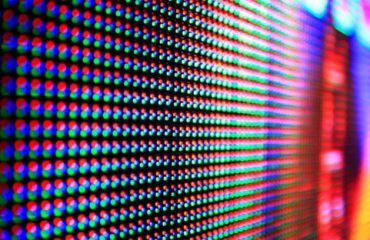 Over the past decade, LED technologies—short for light-emitting diode—have swept the lighting industry by offering features such as durability, efficiency and long life. Now, Princeton engineering researchers have illuminated another path forward for LED technologies by refining the manufacturing of light sources made with crystalline substances known as perovskites, a more efficient and potentially lower-cost alternative to materials used in LEDs found on store shelves. 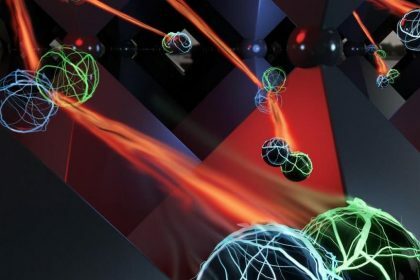 The researchers developed a technique in which nanoscale perovskite particles self-assemble to produce more efficient, stable and durable perovskite-based LEDs. 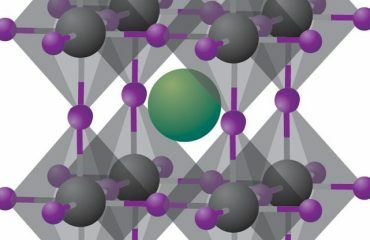 The advance, reported January 16 in Nature Photonics, could speed the use of perovskite technologies in commercial applications such as lighting, lasers and television and computer screens. “The performance of perovskites in solar cells has really taken off in recent years, and they have properties that give them a lot of promise for LEDs, but the inability to create uniform and bright nanoparticle perovskite films has limited their potential,” said Barry Rand an assistant professor of electrical engineering and the Andlinger Center for Energy and the Environment at Princeton. 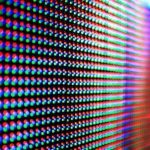 “Our new technique allows these nanoparticles to self-assemble to create ultra-fine grained films, an advance in fabrication that makes perovskite LEDs look more like a viable alternative to existing technologies,” Rand, the lead researcher, added. LEDs emit light when voltage is applied across the LED. When the light is turned on, electrical current forces electrons from the negative side of the diode to the positive side. This releases energy in the form of light. LEDs operate best when this current can be strictly controlled. In Rand’s devices, the thin nanoparticle-based films allowed just that. LEDs have many advantages over incandescent bulbs, including durability, longer life, smaller size, energy efficiency and low-heat. While they are still more expensive than fluorescent lights for room illumination, they are more energy efficient, light up faster and present fewer environmental concerns related to disposal. Rand’s team and others researchers are exploring perovskites as a potential lower-cost alternative to gallium nitride (GaN) and other materials used in LED manufacturing. Lower-cost LEDs would speed the acceptance of the bulbs, reducing energy use and environmental impacts. Perovskite is a mineral originally discovered in the mid-1800s in Russia and named in honor of the Russian mineralogist Lev Perovski. The term “perovskite” extends to a class of compounds that share the crystalline structure of Perovski’s mineral, a distinct combination of cuboid and diamond shapes. 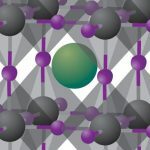 Perovskites exhibit a number of intriguing properties—they can be superconductive or semiconductive, depending on their structure—that make them promising materials for use in electrical devices. 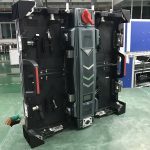 In recent years, they have been touted as a potential replacement for silicon in solar panels: cheaper to manufacture while offering equal efficiency as some silicon-based solar cells. Hybrid organic-inorganic perovskite layers are fabricated by dissolving perovskite precursors in a solution containing a metal halide and an organic ammonium halide. It is a relatively cheap and simple process that could offer an inexpensive alternative to LEDs based on silicon and other materials. However, while the resulting semiconductor films could emit light in vivid colors, the crystals forming the molecular structure of the films were too large, which made them inefficient and unstable. In their new paper, Rand and his team report that the use of an additional type of organic ammonium halide, and in particular a long-chain ammonium halide, to the perovskite solution during production dramatically constrained the formation of crystals in the film. The resulting crystallites were much smaller (around 5-10 nanometers across) than those generated with previous methods, and the halide perovskite films were far thinner and smoother. This led to better external quantum efficiency, meaning the LEDs emitted more photons per number of electrons entering the device. The films were also more stable that those produced by other methods. 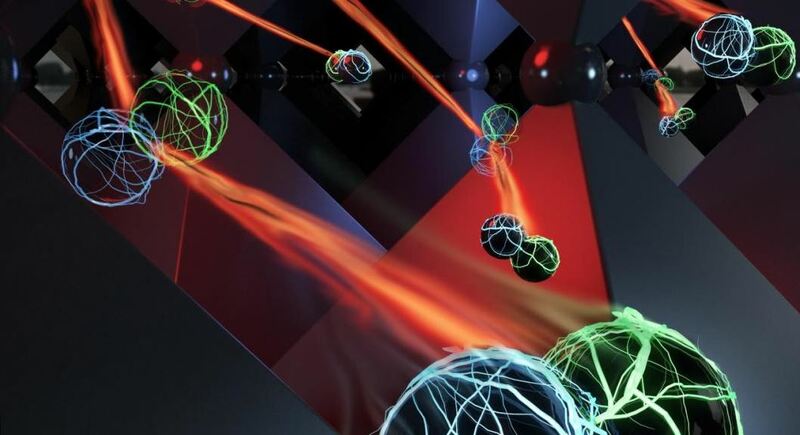 Russell Holmes, a professor of materials science and engineering at the University of Minnesota, said the Princeton research brings perovskite-based LEDs closer to commercialization.